This striking member of the daisy family has flower heads of 6 to 8 cm diameter. The basal leaves can be up to 40 cm long, and the flower stems are adorned with stalkless clasping leaves positioned alternately up the stem. 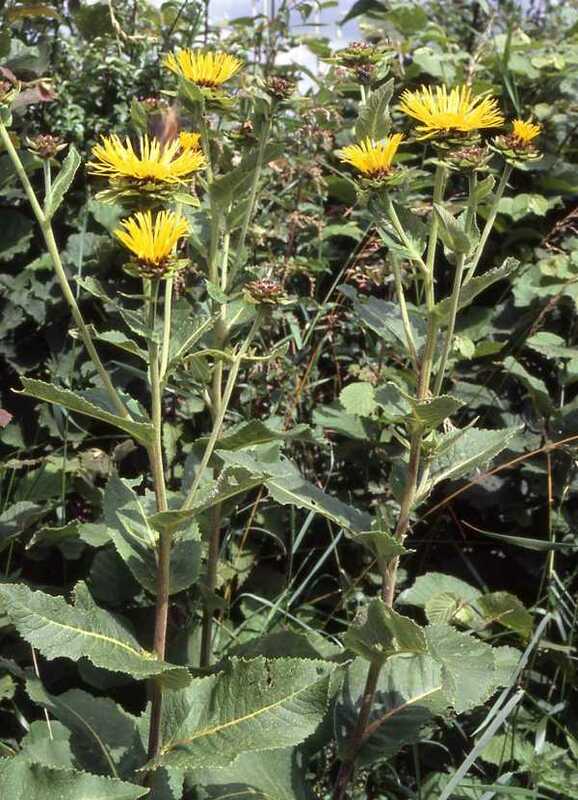 Elecampane is a tall, hairy plant; it is sometimes found on cliff tops but perhaps most commonly on grassy banks beside woodland. 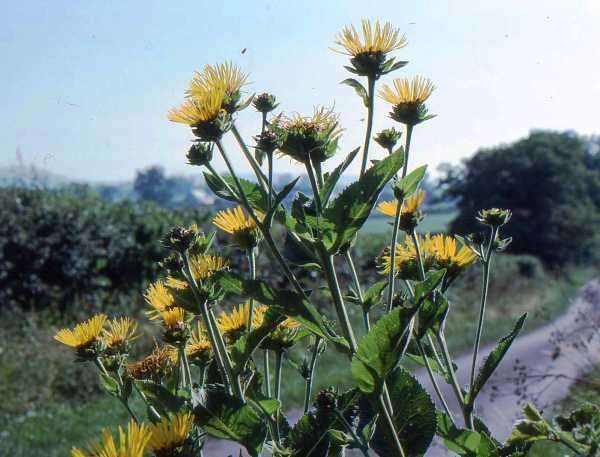 Elecampane was introduced to the UK from Asia, and its roots have long been used in herbal medicine as a treatment for asthma and other respiratory complaints. More recently the drug inulin, which is made from the plant, has been recognised in mainstream medical circles as an effective treatment for asthma. 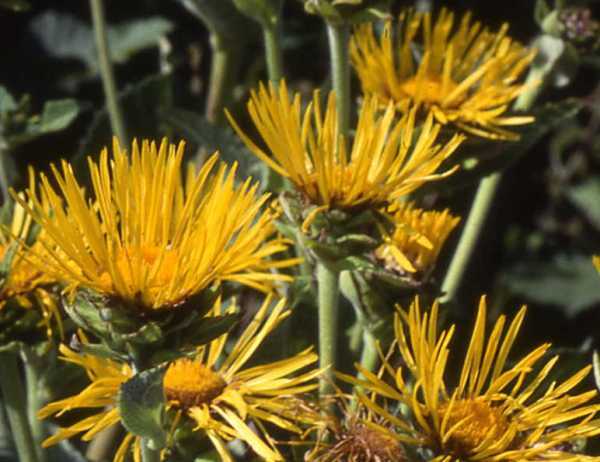 You can find Elecampane in bloom from June right through to September. It is quite common, although localised rather than widespread, in Britain.